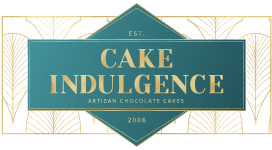 Cake Indulgence produces artisan chocolate cake for weddings and celebrations. 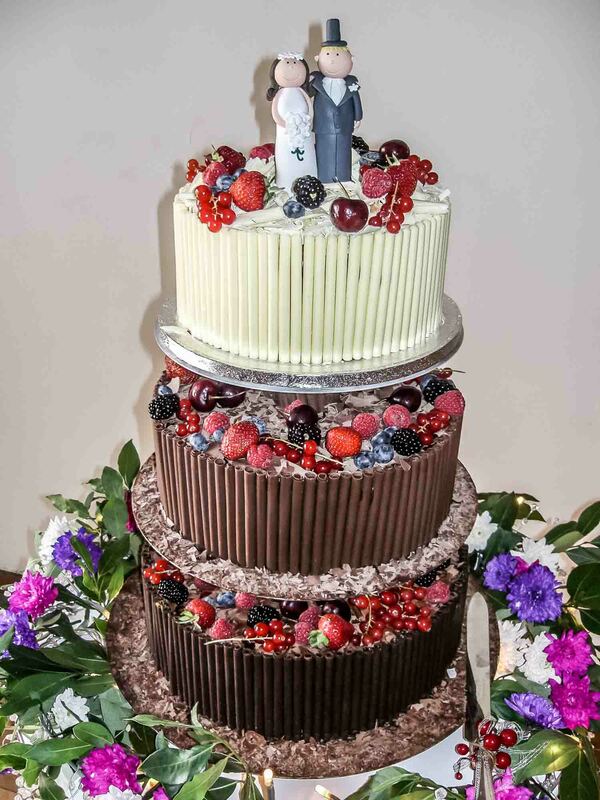 Andreas has over 20 years experience in chocolate making and has been producing wedding cakes for over 10 years. 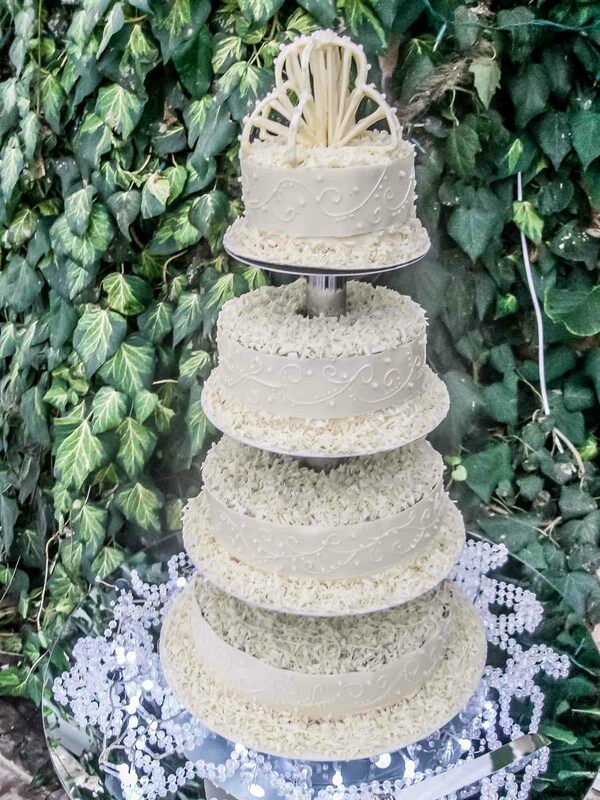 Each cake is individually designed for your wedding and produced to the highest quality. Andreas can also produce afternoon tea pastries and waffles for your event to give an extra special touch to your special occasion. Learn how to produce high class chocolate and truffles on this comprehensive course. This comprehensive course gives you the opportunity to learn pastries, cakes, desserts and petit fours. Many many thanks for the wonderful cake. It was just as we had hoped and it was admired by all at the wedding. It was moist and delicious and many of the guests were back for seconds even though the portions were very generous. Many many thanks for the wonderful cake. It was just as Becca pictured it and was admired by all at the wedding. It tasted delicious and many people were back for seconds. Unfortunately, there is very little left. Woe betides anyone who went near the chocolate crown. The wedding was all that Becca and Terry had planned for. Thank you for your part in it. 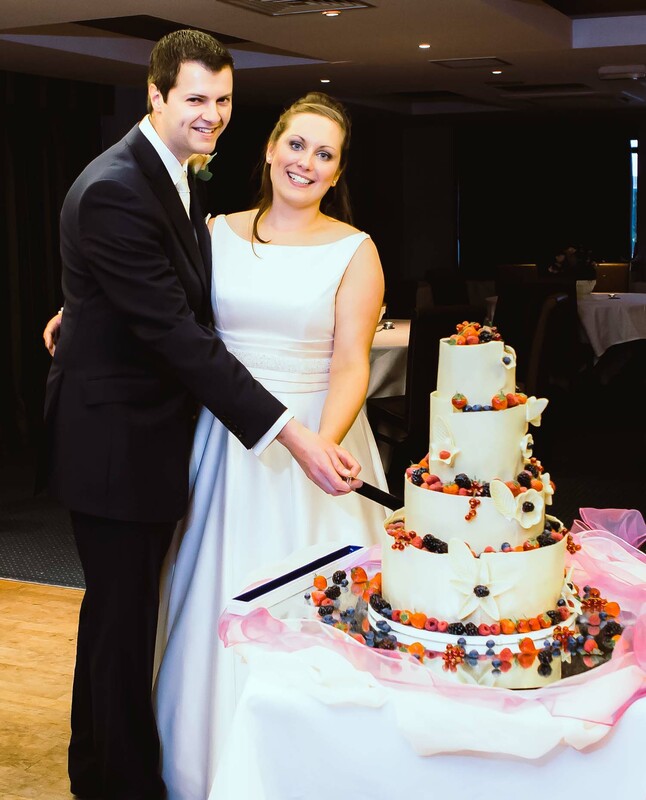 I just wanted to tell you how pleased we were with the cake -it really was stunning to look at and to eat. We had a number of comments given to us about it. The truffles were divine. I would certainly like to use your talents for any future occasions that demand a cake and I will recommend you to my friends. 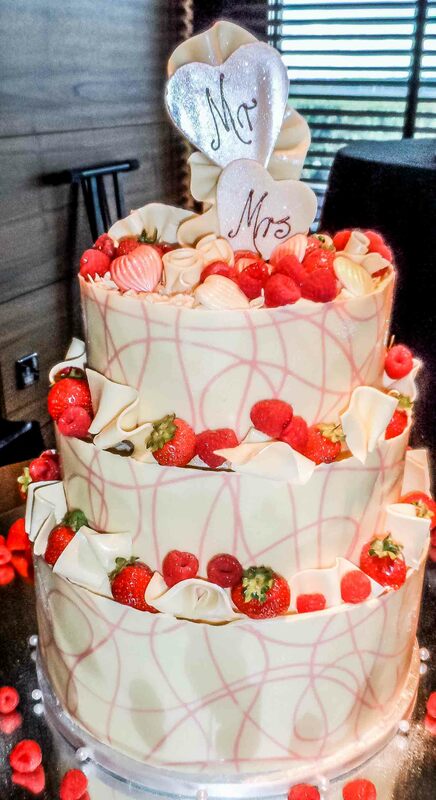 Thank you again for making our lovely wedding cake. What can we say, the cake was fantastic, we have had so many comments about it. It was perfect thank you so much for making our wedding cake everything we wanted for two chocoholics! Thanks again. WOW! the cake was fantastic, a real work of art. It was the talking point at the reception admired by all. When Emma and Nick had decided they wanted to serve the cake as dessert at the wedding breakfast. I have to admit I was apprehensive but it was delicious and so moist, perfect for the occasion. It was a pleasure dealing with you and even though we changed our design 3 times nothing was to much trouble. Thank you so much. 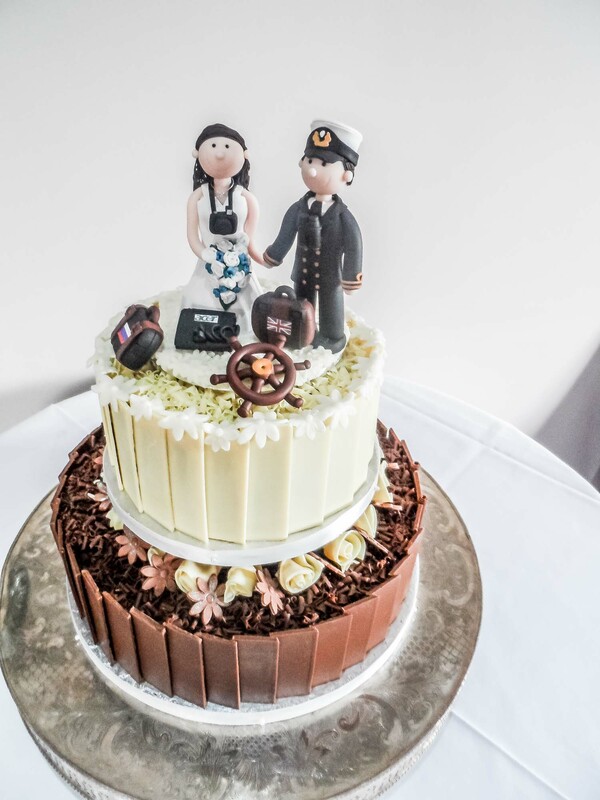 Thank you so much for the ABSOLUTELY DELICIOUS cake you made for our wedding on Saturday. It was much appreciated by all our guests who thoroughly enjoyed every mouthful. 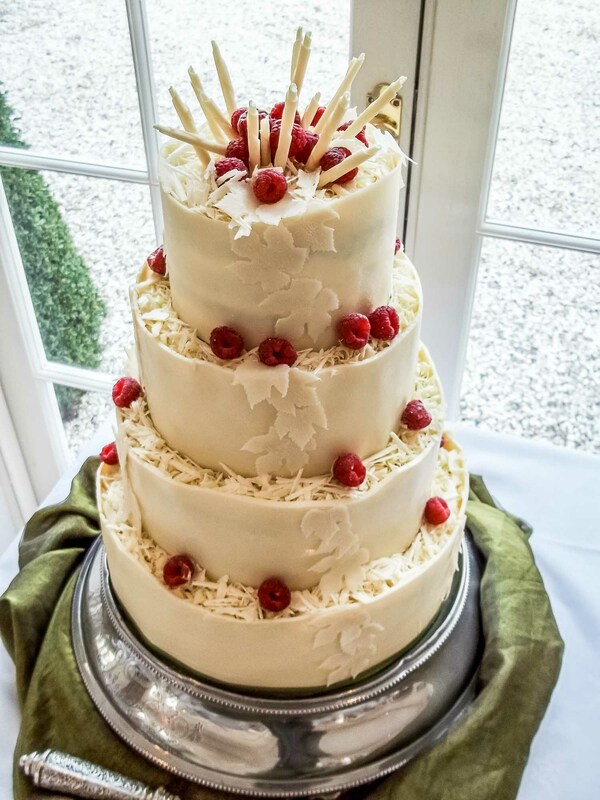 It far exceeded our expectations and we would highly recommend you to anyone – in fact, no wedding should be without one of your FABULOUS cakes! Best wishes and many, many thanks, once again. Your cake was truly beautiful – a work of art. So many delightful comments both on the design and also the wonderful taste. The staff commented afterwards that they had never seen a wedding cake disappear so fast. So my hope of having a portion to take home and relish at my leisure did not come to fruition. Thank you so much for contributing this to my daughter’s very happy wedding day. I will certainly recommend you to anyone that I know who is looking for something very special. 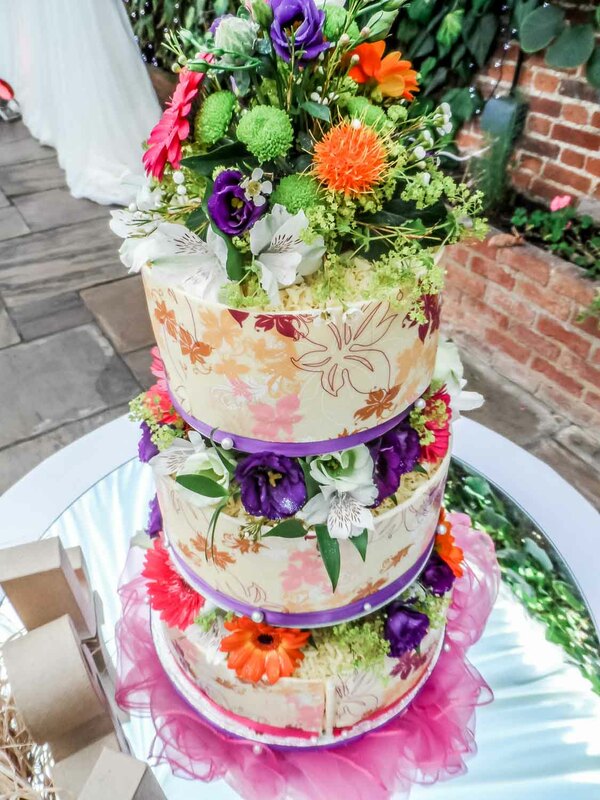 The cake was literally the most amazing wedding cake we have ever seen! We were blown away and I cannot tell you how happy we were with it. I just wanted to thank you for last week. The cake looked and tasted absolutely fabulous. 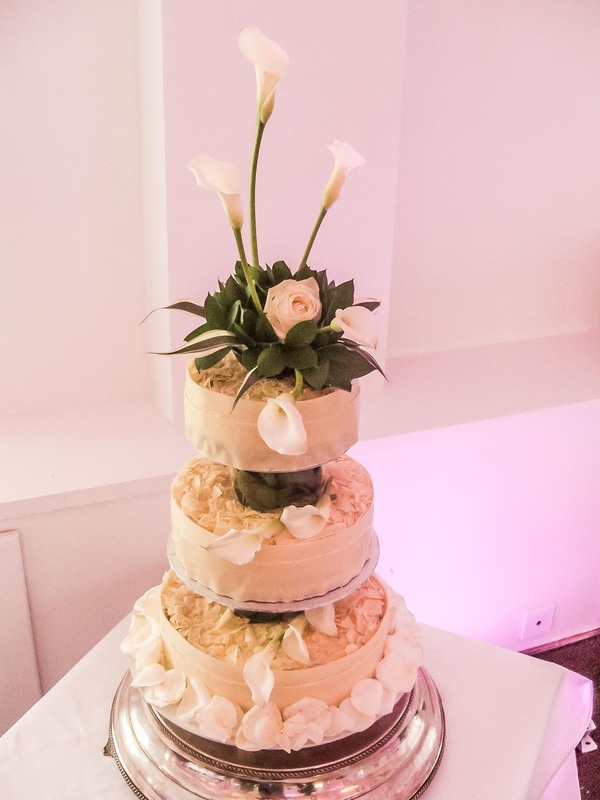 We had so many lovely comments from our guests regarding the cake. Once again thank you for a lovely cake. We will definitely be recommending you to our friends. Thank you for making such a truly wonderful masterpiece for our wedding. 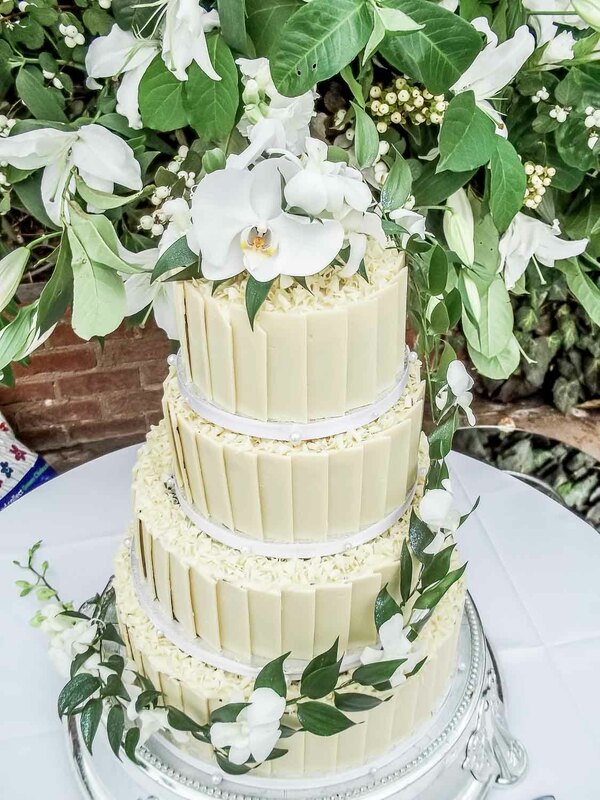 All of our guests have commented on how fantastic the cake looked and once they put it in there mouth it was like nothing they had ever eaten truly wonderful. Thank you so much for the wonderful cake. It looked absolutely beautiful and tasted wonderful. It really made the day special. Thank you again. 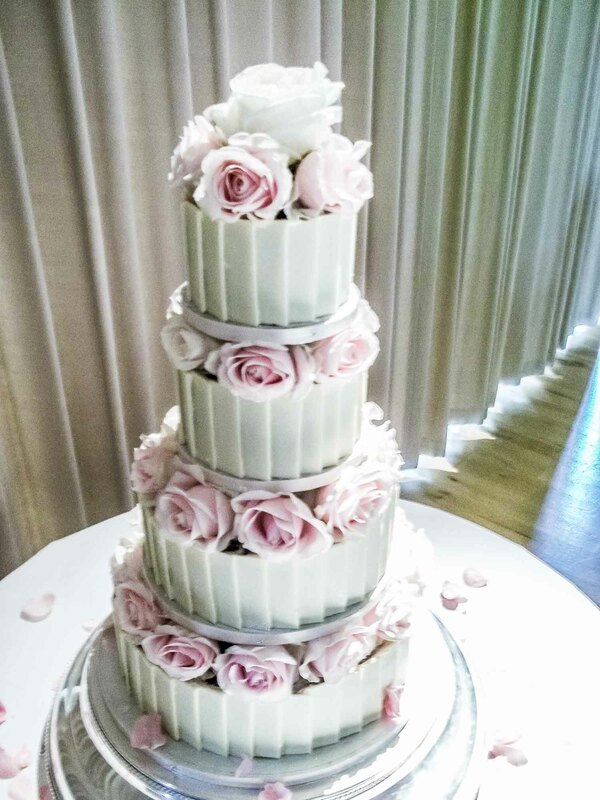 We had a lovely weekend and the cakes looked fantastic and of course tasted amazing. Lots of compliments from the guests. There are not enough words to express how divine and well crafted you made my 40th birthday cake. Myself and my guests were simply blown away by the design which you translated perfectly, the flavour so original and the texture like butter melting in your mouth. The cake was simply state of the art and too nice for the eyes to behold. I didn’t want to cut it, but instead just leave intact just so that I could look at it over and over. Thank you so much once again. Fantastic! I didn’t expect such a wonderful cake it definitely outshone thebride! Our guests loved it. The quality, style and elegance were incredible and the taste both of the main cake and gluten free cake was stunning Simply thank you. Just a quick email to thank you for the cake. It was everything we wanted and more. It looked beautiful and tasted amazing. 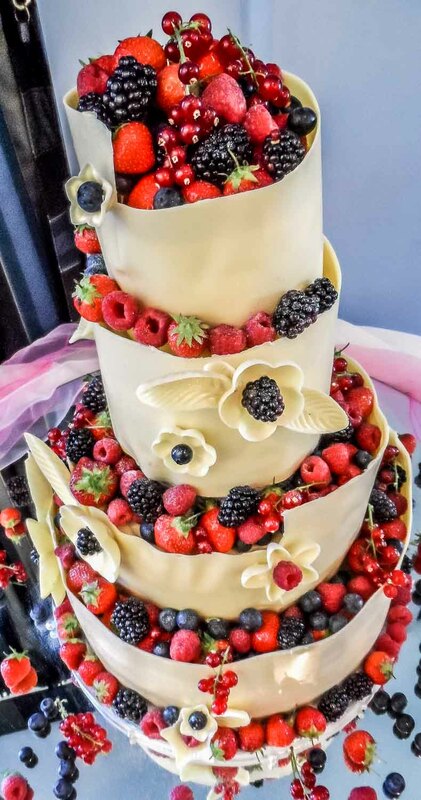 Thank you, the wedding cake was such a show-stopper and I loved the white chocolate flowers with the blackberry centre, very innovative! 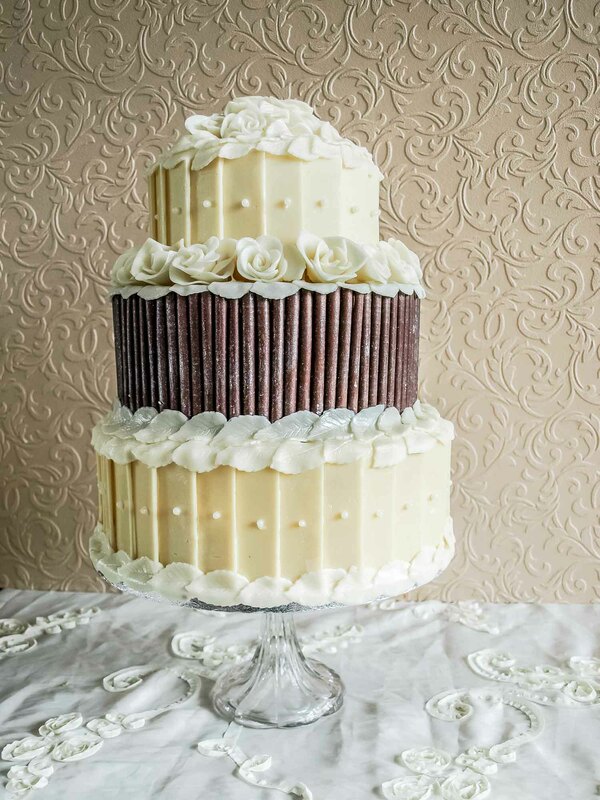 Your absolutely stunning chocolate wedding cake had everyone aghast –what was in it? how did it stay up? and how soon after the bride and groom cut it could it be tasted? Not only did it look stunning but the flavour was just superb. I was sorry not to see you yesterday to thank you personally but as with all weddings, the time just slips by so fast. I cannot thank you enough and I hope you enjoyed creating it as much as we enjoyed eating it. Many thanks from the whole wedding party. This is the first time I have contacted a cake maker, but on this occasion, myself and my pastry chef thought it very worthy. We obviously are coming to the end of our wedding season and we have seen a lot of cakes over the past 6 months. Your cake was without a doubt was the best we have tried and if we had to give out awards would go straight to you guys. The best tasting cake (of course we only try the offcuts) and the best cake by a mile for cutting and holding and serving. Thank you so much for making our evening and month. Please please please try and supply more cakes to us.